She's sold more novels and thrilled more readers than any other writer ever has. Released during the 125th anniversary of the birth of Agatha Christie, this special souvenir magazine from Mirror Collection salutes this much-adored British author. The life and crimes of the best-selling author in the world - It's the essential guide for all devotees of the Queen of Crime. 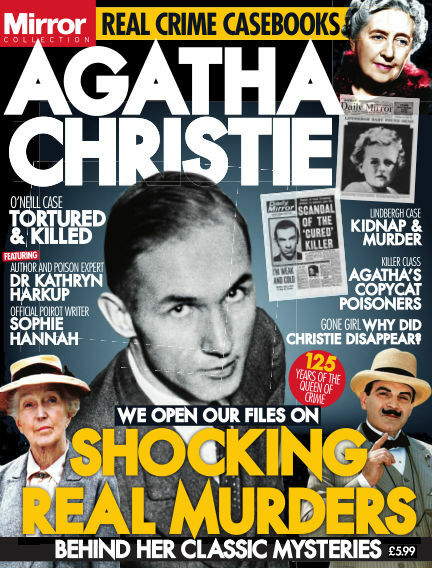 With Readly you can read Agatha Christie - Shocking Real Murders Behind Her Classic Mysteries (issue Issue 01) and thousands of other magazines on your tablet and smartphone. Get access to all with just one subscription. New releases and back issues – all included.